The Alaska Marine Highway System announced more changes to the Alaska Class Ferry rollout this week, but the summer schedule is still uncertain. The Alaska Marine Highway System changed its plans for Alaska Class Ferries in the Upper Lynn Canal again. AMHS Public Information Officer Aurah Landau says the new plan will get Alaska Class Ferries in service sooner and save money. 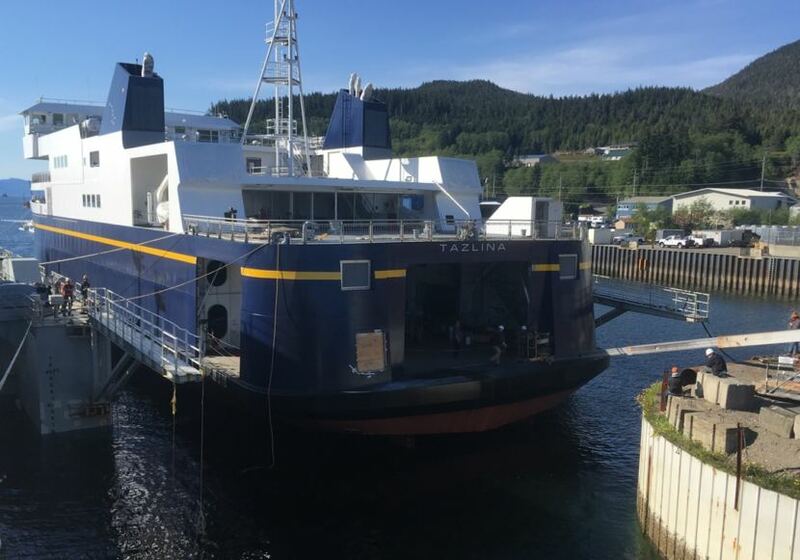 “The Tazlina will be the first of the Alaska Class Ferries available and we can move right into Lynn Canal for the summer schedule,” Landau said. The ACF Tazlina is finished and has completed sea trials. It will service the Upper Lynn Canal starting in May of this year. This is an update from the October 2018 plan, which had the Hubbard scheduled to run between Juneau, Haines and Skagway, and the Tazlina providing service in Prince William Sound out of Cordova. Landau says the Hubbard will be complete by late spring or early summer. AMHS does not have a summer schedule yet. “Service schedule for the summer is still being adjusted and it will change timing and routing for some of the other vessels–those mainline routes that come up from Bellingham and Prince Rupert,” said Landau. The Tazlina will replace the Fairweather. The ACF Hubbard will replace the Aurora in Prince William Sound sometime in 2020. AMHS says retiring the Fairweather and Aurora will save millions. AMHS does not have an exact date for their retirements. The Fairweather is currently in “layup” for the winter and will not undergo a million dollar maintenance overhaul. AMHS asked for $27 million in capital funds to add crew cabins to the ACFs last year. Crew cabins would allow staff to stay on board for longer periods without overtime pay. The switch means the Tazlina and the Hubbard will go into service without crew quarters. AMHS does plan to add forward side doors to both vessels which will cost about $3 million. Service to the Upper Lynn Canal will stay roughly the same. AMHS says the Tazlina is slower than the Fairweather and is likely to run 7 days a week. The Tazlina holds more passengers and vehicles than the Forweather and is more fuel efficient. AMHS anticipates saving half a million dollars in fuel annually. AMHS will contact any any passengers affected by schedule changes to rebook or refund. Editor’s note: This story was originally accompanied by a photo of the MV Taku with an outdated caption. A different photo of the ACF Tazlina subsequently has been added to this story.